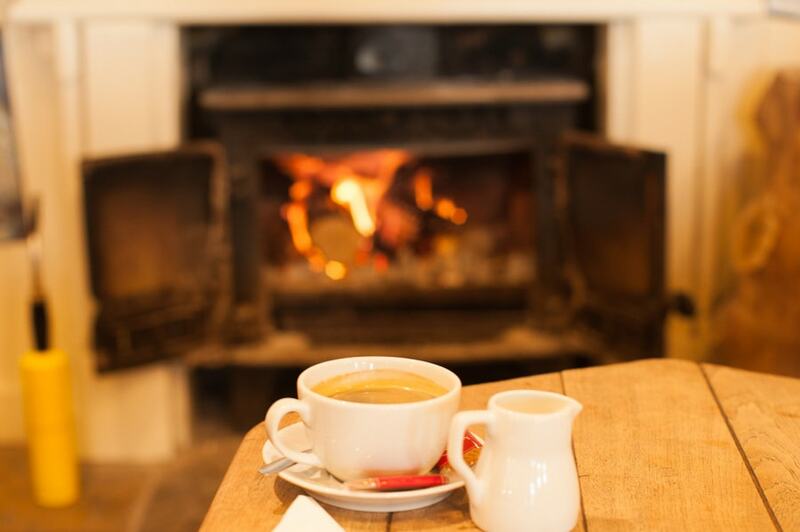 Overlooking the golden sands of Dorset’s premier Blue Flag beach the Jazz Café offers a year round retreat where you can relax and unwind in front of a roaring fire making use of our library, listen to the music, gaze at the surf or simply bask in the sun on our terrace. 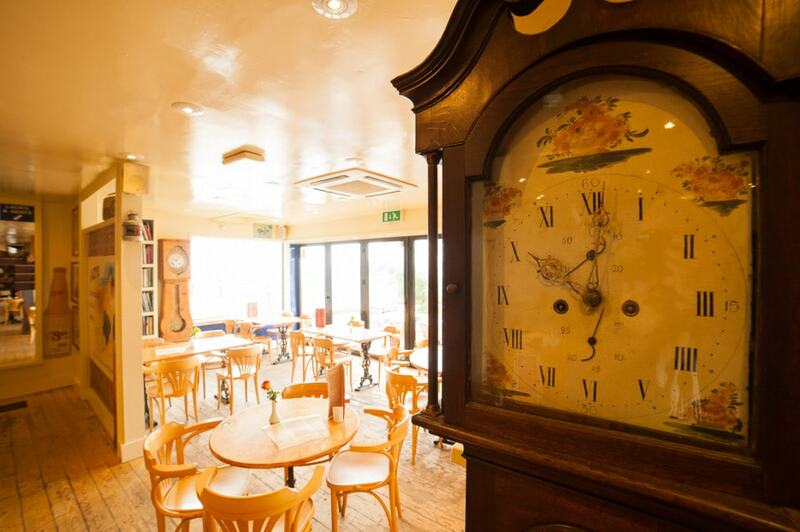 The relaxed surroundings, including the wooden flooring and beech bar counter, the antique clocks and nautical prints, even the Donald McGill inspired saucy postcards compliment the informality and intimate style of service. 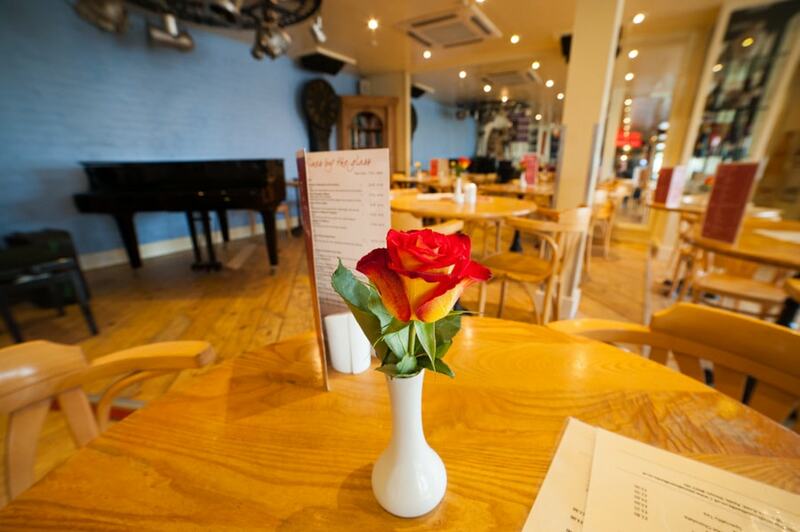 We welcome families of all sizes as well as well-behaved dogs. 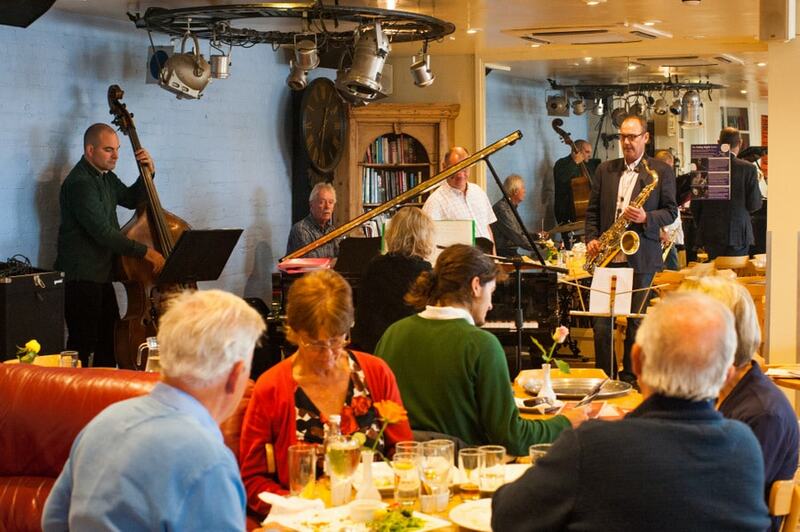 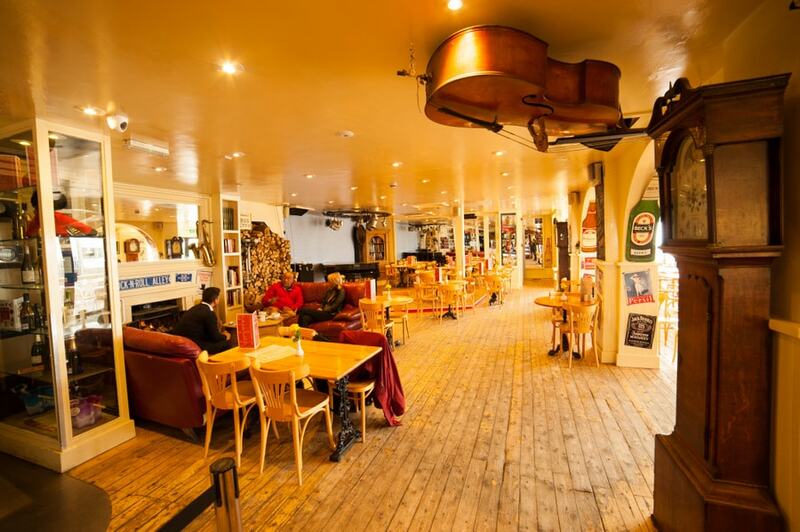 So come down and soak up the unique Jazz Café atmosphere and its beautiful surroundings and we will guarantee you a relaxing and truly satisfying experience which, we hope, will make you want to come back again…and again. 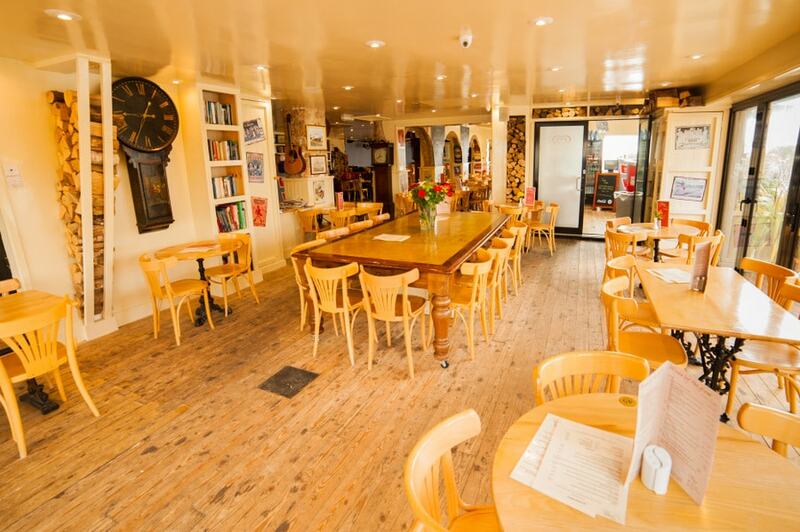 Like many of our regular customers do.